Back in 1982 when wages were much lower than they are now, I was lucky enough to share an Atari 2600 with my sister, which I seem to recall retailed at over £100 with each game retailing for £30. For hours and hours we played the game “Raiders of the Lost Ark”. Having recently revisited some games from my youth, I was shocked to discover that actually the game wasn’t all that amazing, truly awful in fact, with graphics that are nothing short of embarrassing by any standards. At the time believe it or not, it was top of the range. I digress. The point that I am trying to make is that a top selling game in 1982 was retailing in the UK for £30 and give or take £5, that price level is pretty much still the benchmark now. I guess that if you compare the price and quality of games in 1982 with now, the announcement that Activision want to release Call of Duty: Modern Warfare 2 for £55 some 27 years later should not be all that surprising. I mean, the price has increased along with the technological advancements over the years, right? Unfortunately for Activision, I don’t think it’s that simple. With the above point made, there is still very much something wrong with this picture. Most of the AAA games these days retail at £30-£40 even around the Christmas period, so why the sudden jump to £55? It’s not like we’re even talking about a special or limited edition either. There is also the very valid argument that if the new game is still using the same game engine as its predecessor, combined with the low manufacturing costs of producing a disk; there is simply no way they can justify this level increase. I think that a weak British pound and use of the word “experiment” in recent interviews seem like a very poor excuses from Activision’s staff. Some might say that the RRP is simply false advertising for publishers and marketing types who want their item to be a high value, must-have premium product, and it makes you as a consumer feel a little happier when you pick it up for a few quid cheaper. That’s without considering that this game will probably be the top seller at Christmas, and the people that manage the marketing campaign will be more than aware of the confused Mum’s, Dad’s and Grandparents that will be wandering onto the high street with a list and just wanting to buy the game that is top of little Johnny’s Christmas list no matter what the cost. 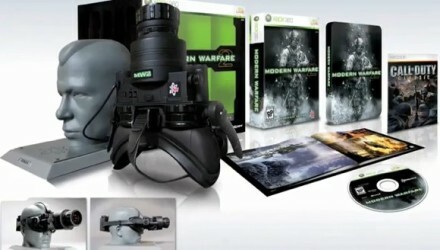 Although it has been reported that game sales now outstrip both CD’s and DVD’s, the harsh fact is that they do not hold their value for long; a game brought for full price on pre-order will very often tumble to under £20 within weeks of release, so again maybe this is a different marketing tactic getting as much money as possible from a title in its first few weeks of release. This is a topic that nearly every gamer has an opinion on, but you have to remember that it’s business and a good old fashioned case of supply and demand in Activisions opinion. 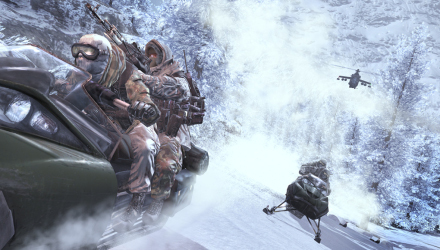 COD: MW2 is certain to be the best selling game this Christmas and gamers will pay whatever it costs… or will they? In the current economical climate many might find Activision’s “Testing the water” to be obscene or disgusting (me specifically – Andy). We can at least all rest assured though that the supermarkets and big online stores will be selling the game for a lot less than the RRP. If you are a stalker, have more money than sense or just want to spoil yourself this Christmas you could always buy the Prestige edition that come with real night vision goggles for a whopping £119.99 exclusively from HMV. My best advice to you all is to stay tuned to Neil’s Deals here at This Is My Joystick, because I guarantee you all that I will be purchasing it for less than £55 and you can hold me to that! What do you think? Are Activision are greedy, or is it smart business sense? Are you going to buy on release or wait for the price to drop? Let us know in the comments below.